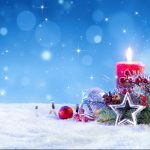 Blow away those Winter woes with our favourite luxury Wintery tipples and Christmas treats. This guide brings together the best wine, fizz, two different types of premium vodka, gin, a single malt whisky and tequila! How is that for a great night in? This stunning offering from Chase is as tasty as it is aesthetically appealing! Adorned with a striking orange look, this is a great present and will nestle beautifully under any tree. Available from 31Dover.com, this vodka has made the transition from a limited edition release to a permanent fixture in the Chase portfolio. Such was the success, this vodka hs now here to stay and we are most certainly happy about that! Unlike most vodkas, this one has a faint gold hue, thanks to a gentle marinating in orange marmalade from sunny Seville. The aroma is zesty, while the taste is both sweet like honey with a bitter marmalade. The result is a delectable vodka with a really refreshing and exciting taste. We tried this straight from the freezer, in order to make the most of the marmalade flavour. However, it also works well mixed with tonic and over ice. 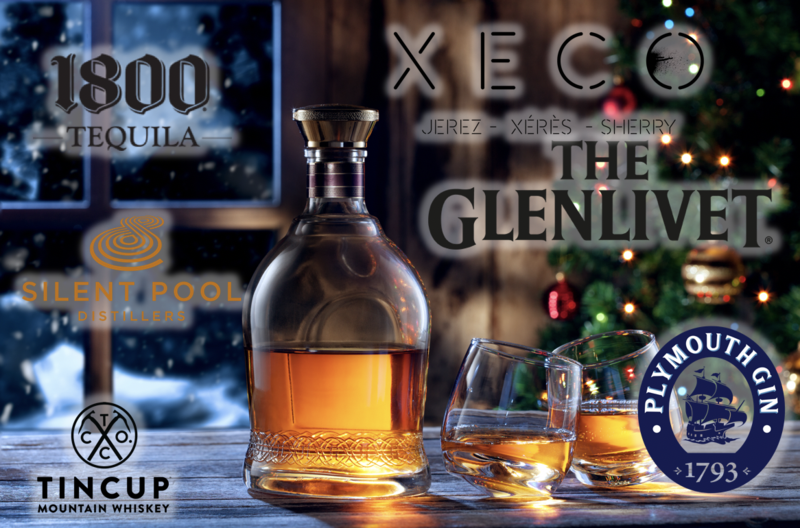 Winter means three things; firstly, cold weather is a certainty, secondly, Christmas is on its way and thirdly, a high-end whisky is a must. 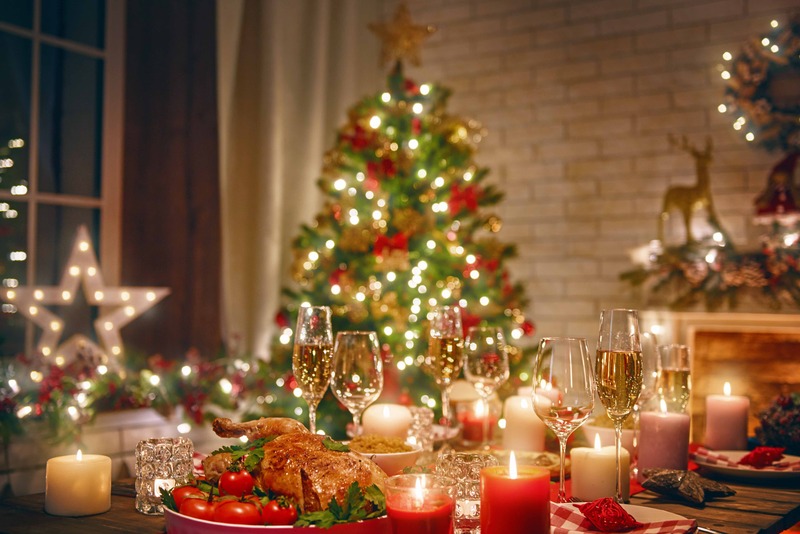 Thankfully, we have just the ticket and we are 100% certain Balblair Highland Single Malt Scotch Whisky will have you smiling this festive season. Balblair has an exciting range of Vintages to choose from, each with a distinct personality and feel. For example, why not gift the Balblair 2005 (£42), matured in American oak ex-bourbon casks. Offering a medley of spicy aromas, punctuated with notes of vanilla, toffee and honey its the perfect dram Christmas day. For the whisky aficionados why not try the Balblair Vintage 1999 (£62) and for those very special moments, crack open a dram of Balblair 1990 (£100). 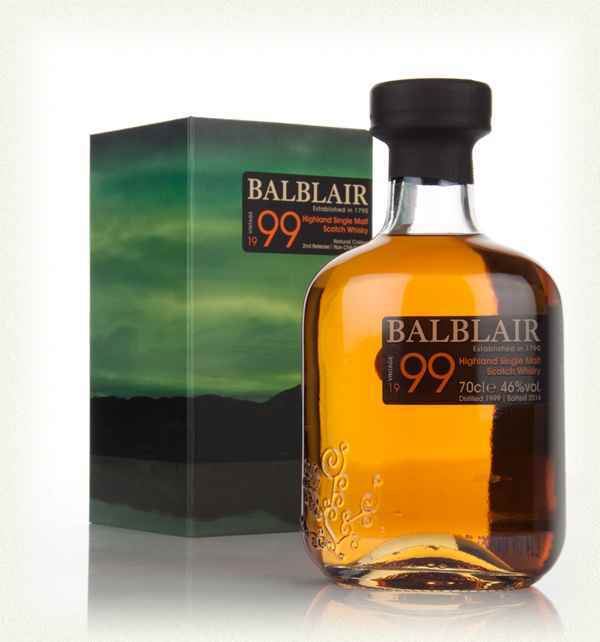 The Balblair Vintage 1999 is absolutely sublime. This glorious Highland whisky was matured in a combination of American ex-bourbon barrels and Spanish ex-Sherry butts from 1999 until 2014. The result is simply wonderful. The Sherry oak takes hold of the nose with thick slices of warm Christmas cake and juicy raisins. Beneath you’ll find apple peel and honey’d malt. 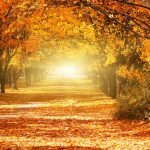 With Winter on the horizon and Christmas on the way, we would highly recommend you look into the Berry Bros. & Rudd Luxury Collection. 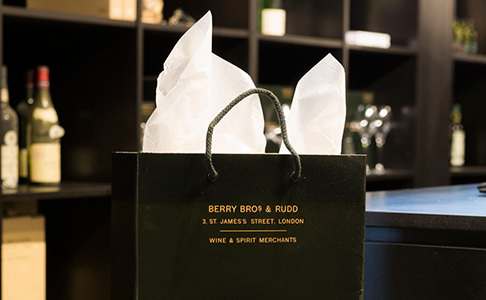 Berry Bros. & Rudd is Britain’s oldest wine and spirit merchant, having traded from the same shop since 1698. Today the company also has offices in Japan, Singapore and Hong Kong, a Wine School and an exclusive fine wine and dining venue in London’s St James’s. Plus, this time enduring brand has two Royal Warrants for H.M. The Queen and H.R.H. The Prince of Wales. With this wonderful history in mind, you can see where the years of experience and wine expertise derive from. The Luxury Collection is most certainly indulgent, luxurious and decadent. Berry Bros. & Rudd have perused the finest vintages from some of the world’s best producers. 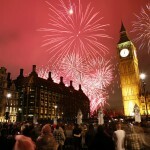 The result is the option of red, white, mixed or complete (which features all of the suggested wines). We were lucky enough to sample the 2010 Devevey Burgundy. A particularly vibrant red, with soft and silky tannins. There is also a pleasant black fruit on the nose – making it perfect for Winter! A necessary purchase for any festive season has to be a top end champagne. This Grand Cru champagne comes highly recommended. Sourced from the prestigious Grand Cru village of Mailly, located at the heart of the Montagne de Reims, and benefiting from over three years’ ageing, our non-vintage United Kingdom Cuvée is a classic blend of 75 percent Pinot Noir and 25 percent Chardonnay. All the hallmarks of Grand Cru are here, with brioche and flowers on the nose and an elegant palate which marries notes of lemon grass, gingerbread and honeysuckle. The wine effortlessly combines structure and finesse and reverberates with a really authoritative Grand Cru crescendo on the finish. Half-bottle and full bottle available. Plus, this champagne also features in the Berry Bros. & Rudd Chef’s Christmas hamper (£100). 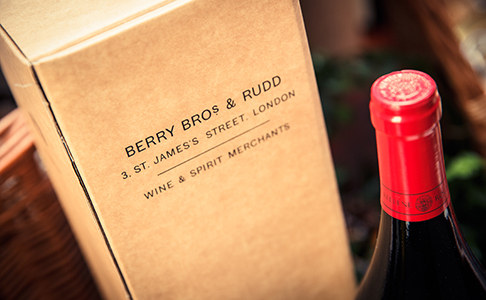 Find out more about Berry Bros. & Rudd here. We are huge fans of gin here at Lussorian HQ, so it was a pleasure to try this colourful and eye-catching example. 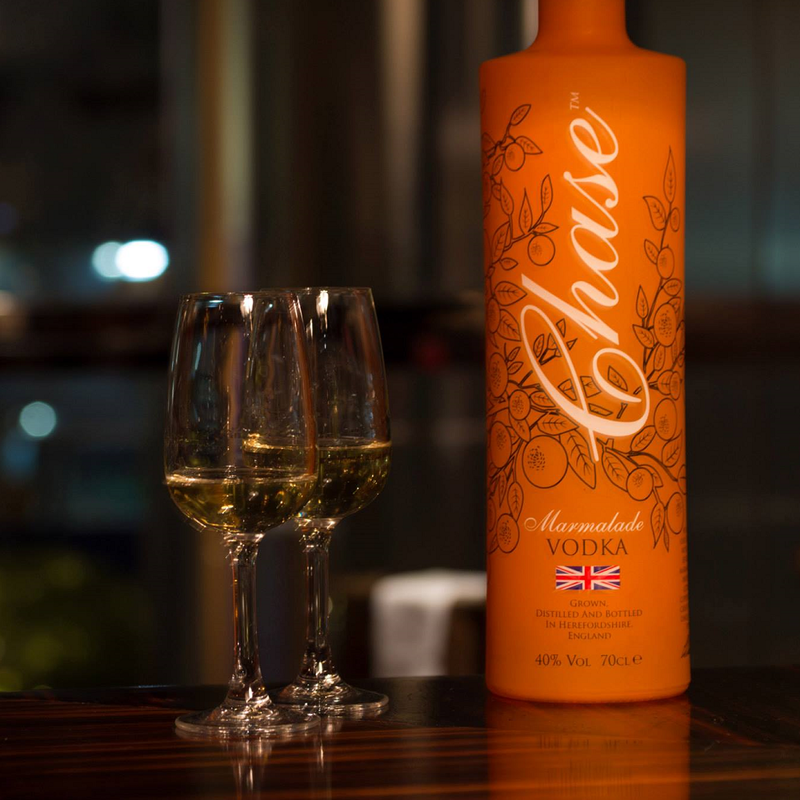 As with the Chase Marmalade Vodka, this would also look picture perfect under the tree this Christmas, it’s simply stunning. This gin has been developed by London No 1 Blue Gin creator and Tea Meister, Martin Edgerton Gill and Dr Stuart of Herb Tea fame. This award winning spirit is made in dinky batches from 15 botanicals across the world, this is certainly one to get the connoisseurs interested this Winter. 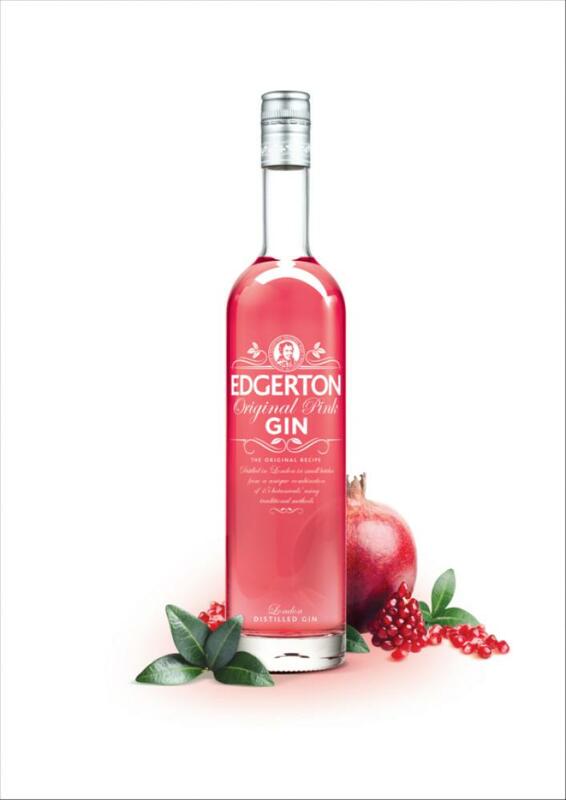 The gin is leant its pink glow by pomegranate, lending it vibrancy and sweetness. In fact, the brand was created by Martin Edgerton Gill, formerly the owner of the London Gin Company, in order to establish a gin brand where colour really takes centre stage. His creation, the world’s first blue gin “London No 1 Blue” sold in 2010 to Gonzalez Byass of Spain has been a huge success. There is a great balance between sweetness and bitterness in this pink gin. It’s also supremely drinkable with a high quality tonic. Floral on the nose with Juniper notes, this is a gin which packs the substance to substantiate its style. Winter wouldn’t be the same without a great cognac. Martell is one of the oldest purveyors of the great cognac houses, with over 300 years’ worth of heritage and prestige. Over this extensive period, Martell looked to embody three distinctive principles, those being gastronomy, taste and craftsmanship. Each bottle embodies the three principles and delivers them with great finesses. One of the key aspects of th creations process is the double distillation of exclusively clear wines and aging in fine-grained oak casks. 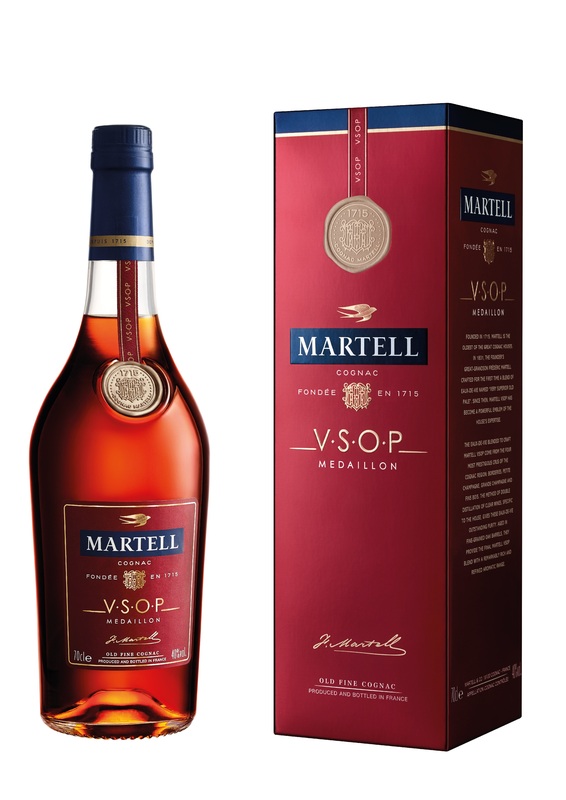 For Winter 2016, Martell’s VSOP looks to build up the brands fine reputation and to deliver a particularly smooth and mellow cognac. VSOP is made with skilfully blended, mature eaux-de-vie (aged for at least four years) from the four finest terroirs of the Cognac region. A smooth and mellow drink that is a true cocktail of aromas, it is at once fresh, rounded and woody and adds a number of rich qualities to a cocktail. 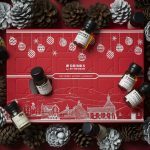 Not only that, Martell also has a range of limited edition options for the Winter season and each one comes lovingly presented in festive packaging. If you are not into flavoured vodkas and purity is the key, then we would highly recommend the ultra-premium Crystal Head Vodka. 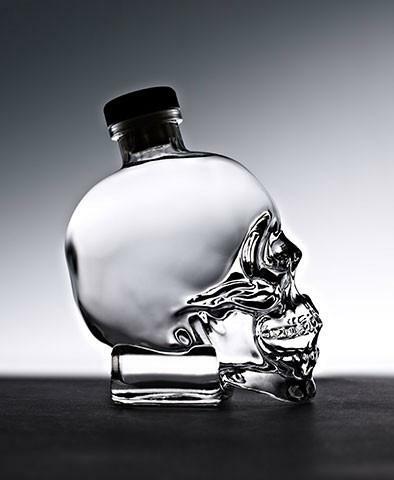 Crystal Head is produced with the upmost level of purity, style and clarity. Created using high quality sweet corn and the super clear glacial waters of Newfoundland Canada, it is then quadruple distiller and filtered no less than seven times through Herkimer Diamonds. In fact, we cannot recall a vodka so clean and crisp on the palate. This vodka is also a show stopping piece of art in its own right. Conceived and created by Dan Aykroyd, legendary actor and musician, the hand-crafted glass skull bottle beautiful and highly desirable. 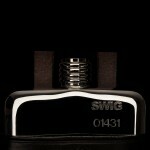 It is one of those fabulous spirits which you are scared to open, as you fear ruining the beauty of the product. We would also highly recommend this Red Tempest cocktail. Stir Crystal Head, Monin Wildberry Puree, Amaretto, orange juice, and Monin Exotic Citrus in shaker until all ingredients have dissolved. Add ice and a sprig of rosemary to shaker. Shake well then strain into a cocktail glass with ice. Top with soda. Garnish with blackberries skewered on to a sprig of rosemary! Delicious! Our final tipple in this fantastic run-down are these adorable miniatures from Patrón, the global leaders in luxury tequila. These miniatures are small enough to hide away in your stocking and yet they pack a punch! We were lucky enough to sample the Patrón Anejo and the quality is sublime! Patrón is a hand crafted in the Hacienda del Patrón, amongst the highlands of Jalisco, Mexico. According to Patrón, their tequila is `made of only the sweet heart of the agave and therefore the quality is unrivalled. The elegance and style of the flavour also manifests itself in the bottle`s appearance, which is a piece of art in its own right. Also, much like its contents, the bottle has a rigorous testing process to make sure it is up to Patrón standards. 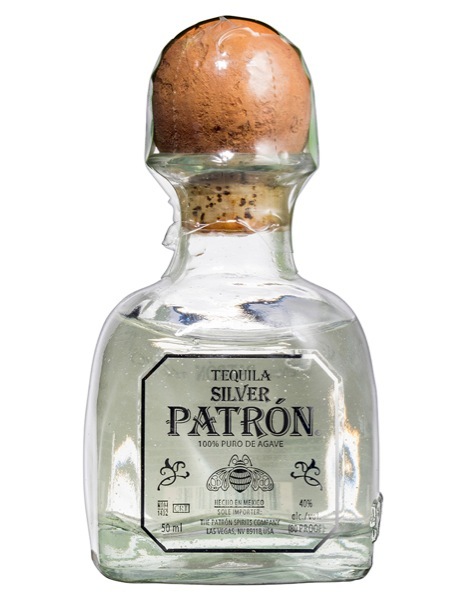 Patrón Silver tequila (40% Alc. Vol.) is made with the finest Weber blue agave and is hand crafted in small quantities, to ensure that the tequila is unbelievably smooth and of the highest quality. Patrón really do make a cracking tequila and we are yet to find a superior tequila out there. 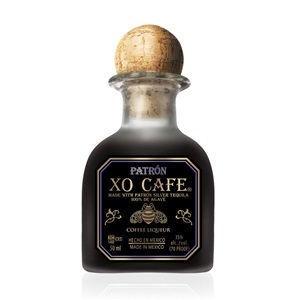 This offering from Patron combines all of the fabulous qualities of Silver and embellishes that fine flavour with that of coffee. 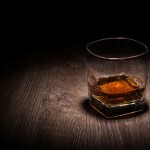 The result is the perfect after dinner drink and there is a delightful smoothness throughout.